SingPost Expands Logistics Network to the U.S.
Singapore Post Ltd, (SingPost) through its indirect wholly-owned subsidiary, SP Jagged Peak LLC, has acquired a 71.1% equity stake in Jagged Peak, Inc, a U.S. e-Commerce logistics enabler for high-velocity consumer products for US$15.8 million. In a statement, SingPost said that with the acquisition its e-Commerce footprint will be global, linking the continents of Asia, Australia, continental North America and Europe. 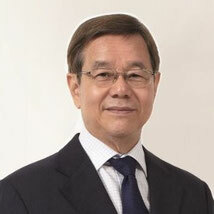 Lim Ho Kee, Chairman of SingPost. Lim Ho Kee, Chairman of SingPost, said the transaction is part of SingPost's strategy to focus its resources on strengthening its geographical reach and the technology it employs as an e-Commerce logistics company. SingPost group chief executive officer, Dr Wolfgang Baier said: "The acquisition of Jagged Peak, allows us to use their state-of-the-art e-Commerce omni-channel technology. This enables brands and retailers not only to leverage their warehouse facilities in over 20 locations in the U.S., but expand these services into our Asia Pacific warehouse network."